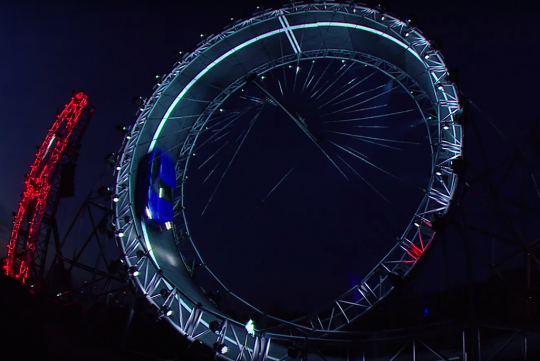 Driven by Terry Grant, Jaguar's new SUV set a world record for performing the largest 360 degree loop-the-loop at its official debut.Together with the first crossover model from the British company, Terry withstood the massive 6.5g of forces generated as it went round the loop which measured 19.08 metres in height. He had to go through two months of physical and dietary training to prepare his body for the extreme forces he was about to experience. In doing so, he brought the Guinness World Record back to the U.K.
As for the new F-Pace SUV, Jaguar will be offering a special 'First Edition model' which will be limited to 2,000 units globally. 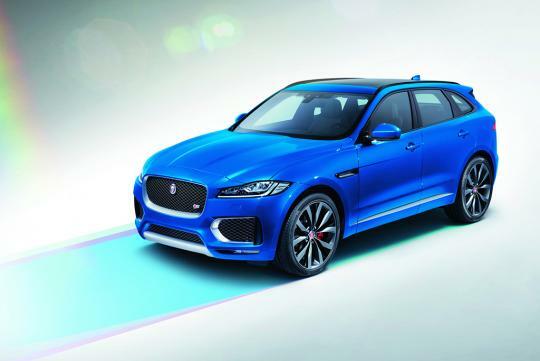 Pushing out 374bhp thanks to the supercharged V6 that can be found in the F-Type also, the F-Pace First Edition will be painted in two, unique paintjobs, Caesium Blue and Halcyon Gold, which are a direct reference to the C-X17 concept car. A 295bhp V6 diesel is also available.